Last fall when I reviewed the unlocked E71, I was blown away at its svelte 0.4-inch profile and sophisticated design. 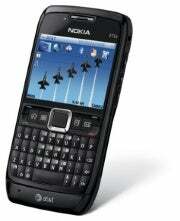 In fact, my biggest gripe about the E71 was its hefty unlocked price. And when I heard that it would be available this spring at a subsidized price, I figured it would still be fairly expensive. 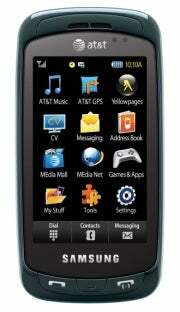 Not so: The E71x will be coming to customers within a few weeks at the amazingly reasonable price of $100. 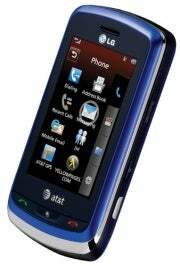 The E71x has a black steel finish (as opposed to the unlocked's silver finish), comes with 3G and Wi-Fi connectivity, a 3.2 megapixel camera, integrated A-GPS and runs Symbian S60 platform. With the first commercially available AMOLED (active-matrix organic light-emitting diode) screen, the Samsung Impression promises an extraordinarily bright and clear display. And you can fully take advantage of the Impression's generous 3.2-inch screen, as it comes with a full Web browser. The Impression also touts an accelerometer, assisted GPS and a full slide-out QWERTY keyboard. I am a little disappointed, however, that the camera specs weren't beefed up a bit. A 3-megapixel camera is fine, but wouldn't it be nice to view higher quality photos on this fantastic display? Nonetheless, I am really looking forward to checking out the Impression. The Impression will be available on April 7 for $200 with a two-year contract. The LG Xenon is a nice option for someone looking for a touchscreen/QWERTY keyboard combination, but not necessarily a smartphone. The Xenon has some modest, but respectable specs: A 2-megapixel camera, GPS integration, Bluetooth 2.0 and Wi-Fi connectivity. The UI is rumored to be similar to Samsung's TouchWiz interface and the widget-based interfaced seen on the LG Prada II. The Prada II's UI has seven widgets (an analog clock, a calendar, an FM radio, a music player, a world clock, notes, and image slideshow) that you can move around and arrange to your liking. If the Xenon's UI is anything like the LG Prada II's, customers will be pleased at its ease-of-use and touch-friendliness. The Xenon will be available on April 8 in black, blue and red for $100 with a two-year contract. The Samsung Propel Pro has the same design as its predecessor, the non-smartphone Propel, but has a bevy of upgrades. Powered by Windows Mobile 6.1, the Propel Pro sports a slide-out full-QWERTY keyboard, Wi-Fi connectivity, a 3-megapixel camera, an optical joystick and expandable memory up to 32 GB. It isn't the slickest device, but it has a nice balance of business and entertainment features. And it's affordable: The Propel Pro is available in April for $150 with a two-year agreement. Other new phones from AT&T include the LG Neon, an affordable touchscreen slider, and the Samsung Magnet, a messaging phone aimed at teens. Check back for more CTIA coverage this week including more in-depth analysis and impressions of these phones and more. RIM's one-stop shop for BlackBerry apps is finally here. Samsung's WiMAX 'Mondi' handset impresses with killer specs. Instinct gets a facelift as well.